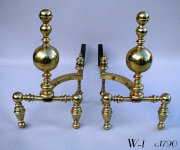 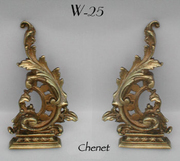 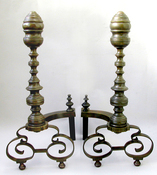 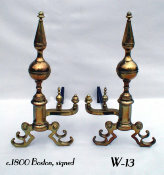 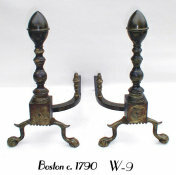 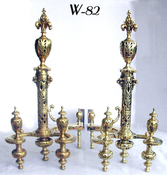 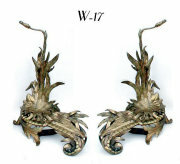 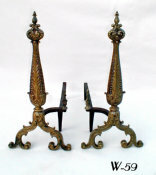 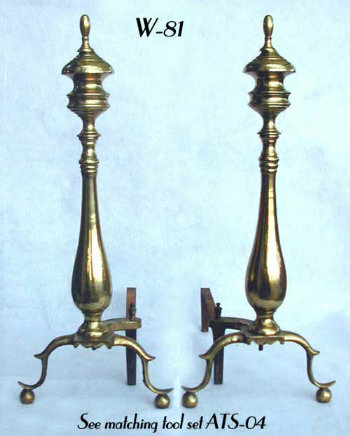 Beautiful Polished Brass andirons, c.1920s. 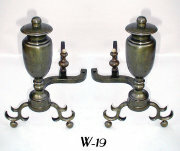 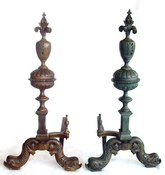 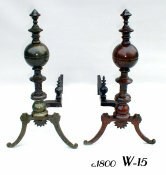 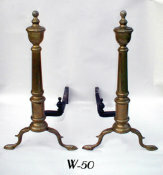 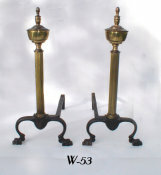 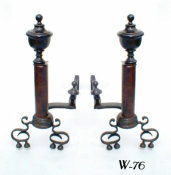 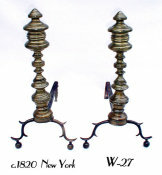 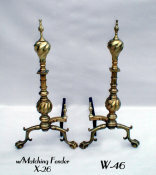 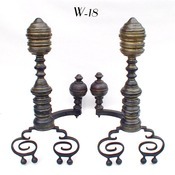 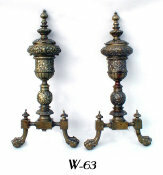 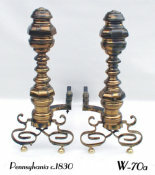 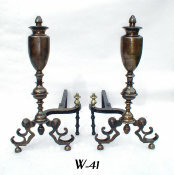 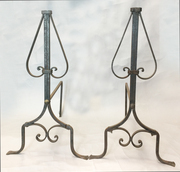 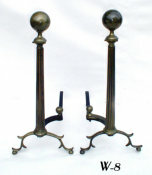 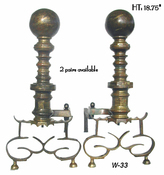 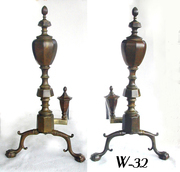 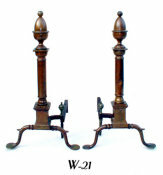 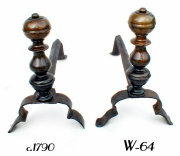 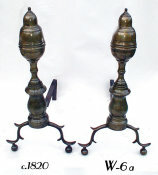 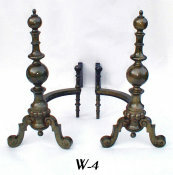 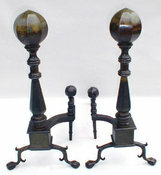 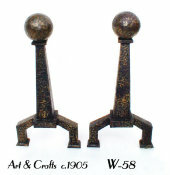 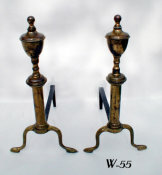 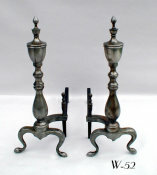 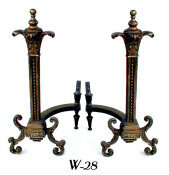 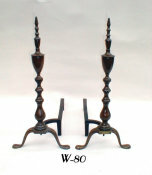 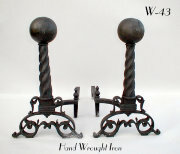 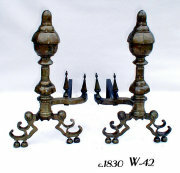 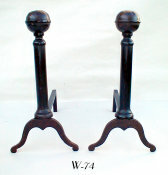 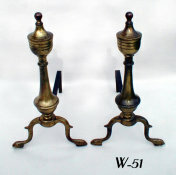 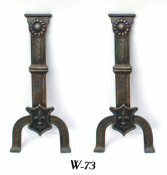 Graceful Baluster columns with banding and knops sit atop skirted bases with spurred legs and ball feet. 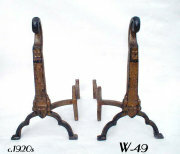 See matching tool set ATS-04.